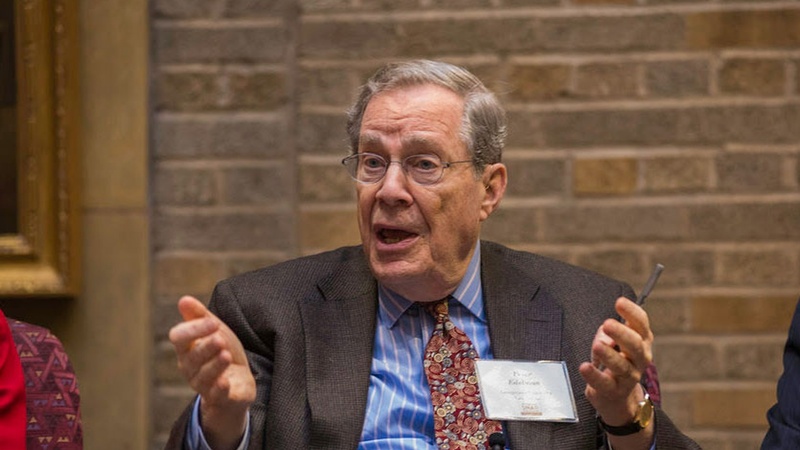 Peter Edelman worked for Robert Kennedy in the 1960s and later as an adviser in the Clinton administration, from which he eventually resigned after disagreeing on welfare reform. His books include “ So Rich, So Poor: Why It’s so Hard to End Poverty in America” and more recently, “Not a Crime to Be Poor: The Criminalization of Poverty in America.” In part two of their conversation, Edelman and host Robert Scheer discuss how the historically progressive Democratic Party shares some of the blame for the dismal number of those living in poverty in the US today. Edelman says while California has had flawed policies in the past, including sky high levels of incarceration, the state has become a model in many ways. And Edelman tells Scheer the United States’ changing demographics and activism make him optimistic about the future.